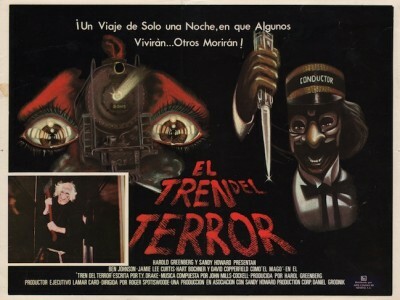 1980’s Terror Train. No matter how you slice it, it’s just not a great movie. Cheesy and wildly predictable, it was a quickie cash-in on the unfortunate ‘slasher film’ era. That said, for those of us coming of age during that time, the movies were simple fun, offering distraction without much thought; only with age do I realize that the Reagan-esque moralizing was so heavy handed, and that a jump-scare isn’t really a scare at all. It’s a startle at best, immediately recognized and quickly forgotten. For the viewer, there’s no terror on this train, but what the hell – at least we’re enjoying the ride. Scream Factory gave this 80’s flashback a nice Blu-Ray release and for that, I thank them. It’s great to showcase the smaller films, once considered throw-aways, because one never knows how they might age and, for we who are aging, they’re oftentimes accompanied by a flood of nostalgia. 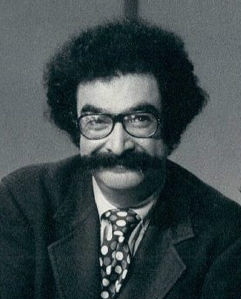 And yes, the movie had me reduced to giggles most of the way through because, although they kept referring to the killer’s costume as Groucho Marx, I could not stop seeing his uncanny resemblance to beloved film critic Gene Shalit, and the notion of Gene running around a train causing mayhem just ruined me. I freely admit that this is my fault, as I’m fairly certain that the filmmakers didn’t do this intentionally. Unless they did, in which case, congratulations – you are now epic.